Let’s start by playing a game. I’ll name a few topics related to ecotourism, and you tell me the first thought that comes into your head. I mean, don’t literally tell me – that’s a gross misinterpretation of how this whole internet thing works. Just think about the answers to yourself. Ready? If I had to take a guess, I’d say that most of the thoughts that came to your head upon hearing those keywords take place in some national park or other preserved wilderness area, far from the reaches of civilization. After all, that is what the whole “ecotourism” category implies, right? Nearly every city has at least one major park, though most have many more than one. City parks are a great place to experience both ecotourist and general tourist attractions. On the ecotourist side of things, city parks are great because they provide a preserved area for nature. Often times, city parks are filled with ornamental plant species, which are specifically picked and maintained to be as attractive as possible by the governing body of the park. This is a free and interesting way to acquaint yourself with a variety of ornamental trees and flowers, especially if the plants are labelled with their scientific and common names. This was the case in many of the city parks and gardens I’ve had the chance to visit during my travels through Southeast Asia. Of particular note was the Gardens by the Bay in Singapore. 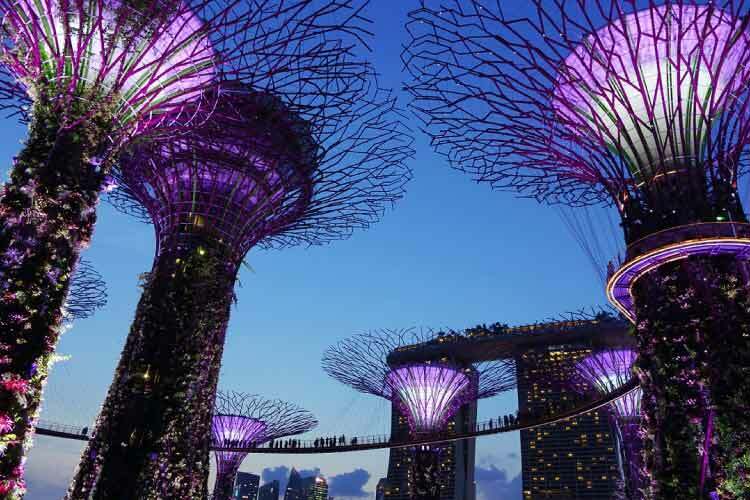 Known mostly for its beautifully imposing supertrees, the park also features hundreds of labelled ornamental plants. No matter how hard the park might try, however, they’ll never quite be able to stop the spread of native species. City parks also act as havens for local tree, flower and grass species. Though these will rarely be labelled (except for possibly the trees), part of the fun is bringing a guide book along and keying out their names for yourself. In my travels, one of the best parks for this type of activity is Mountain Creek Road Park, a small park just outside of Chattanooga, Tennessee. This relatively undisturbed park features dozens of beautiful local wildflowers throughout the spring and summer. If parks don’t quite fill your need for an ecotourist destination, chances are your local botanical garden might. These are basically city parks on steroids. Because they charge an entrance fee, botanical gardens are able to hire a team of professional landscapers to maintain their properties. 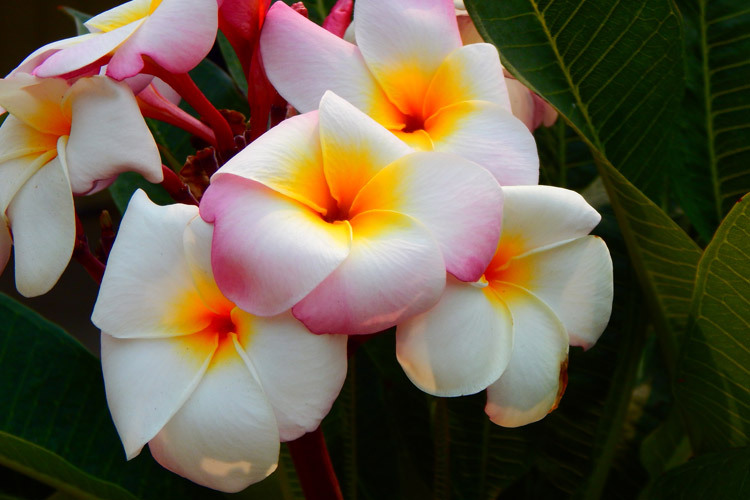 They are also able to import rare and expensive plants from across the globe. Nearly all botanical gardens make heroic efforts to label all of their plants and inform visitors about the importance of plants in the ecosystem. Best of all, most botanical gardens make huge strides towards being environmentally conscious, so you can feel good about spending your money with a company that actually cares about its impact on the environment. In my experiences, Cheekwood Botanical Garden in Nashville is a fantastic garden, though I maybe biased as I was once employed there. Over here in Southeast Asia, the botanical gardens to take on more specialized roles. 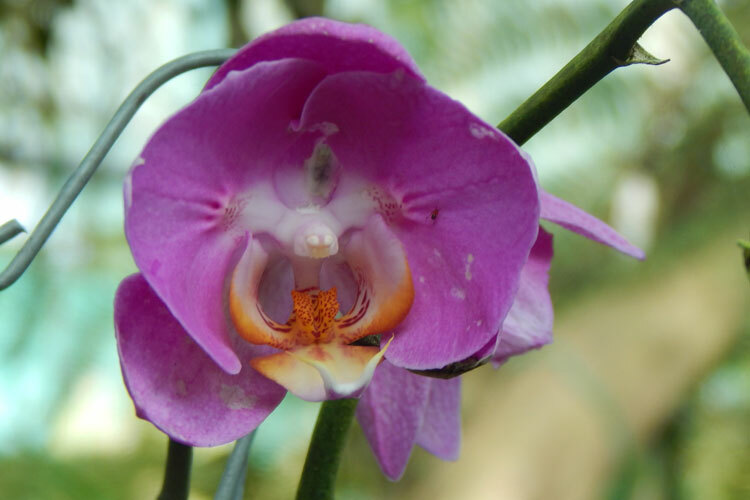 For example, in Kuching, Malaysia, there’s a lovely orchid garden with hundreds of different examples of orchids. The garen did a fantastic job of providing not only the scientific and common names of each orchid, but also information on the preferred habitat and cultural role of orchids. For the most authentic urban nature experience, you have to visit an urban forest. This is essentially an area of the city that has never been developed and still sits in its original forested state. Of course, not all cities have urban forests. Besides the fact that not all cities are in forested areas, it’s often difficult for proponents of the forest to keep the land from developing throughout the years. If you’re lucky enough to have an urban forest near you, however, you know that it’s the perfect ecotourist attraction. An urban forest features both the convenience of being located in a major city and the draw of relatively undisturbed nature. Furthermore, if you want to experience not just plants, but animals as well, an urban forest is essentially your only option. In the United States, few urban forests can compete with Cincinatti’s Mount Airy. This enormous natural area is the perfect definition of a protected urban forest. In contrast, my journeys through Southeast Asia have introduced me to the urban forest of Kuala Lumpur, Malaysia’s capital city. 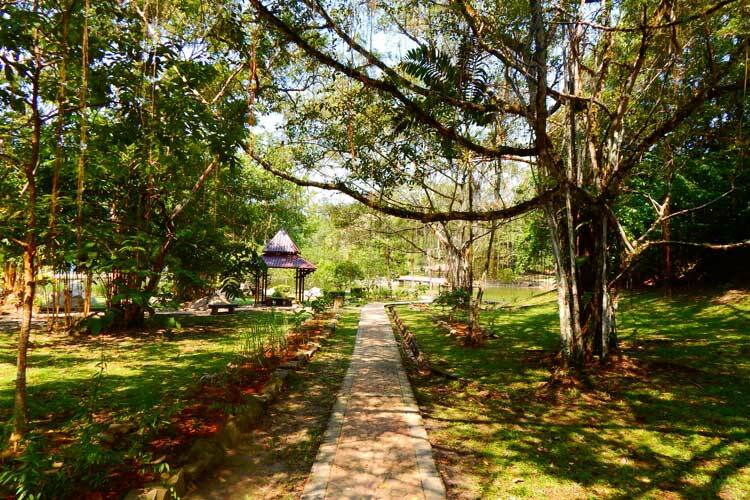 Located as the base of the famous KL Tower, the Bukit Nanas Ecopark features hiking trails, a small orchid and herb garden, and a suspended canopy walkway. If you’re lucky, you can see the local population of long tailed macaque monkeys from the walkway. Though the above article provided a few ways to experience urban ecotourism, there are many others. Remember that ecotourism is more of a state of mind than an actual set of activities. Yes, it’s easier to get in that state of mind when you’re way out in the wilderness, but even in the city, having an appreciation for nature and keeping an eye out for interesting plants, animals, fungi, and inorganic features can go a long way towards improving any trip.